It was an emotional night at MCU Park, it was a tale of two teams. On one side of the field you had a team celebrate going to the playoffs, a team that is used to the taste of success and will have a chance to once again represent their borough and their city. 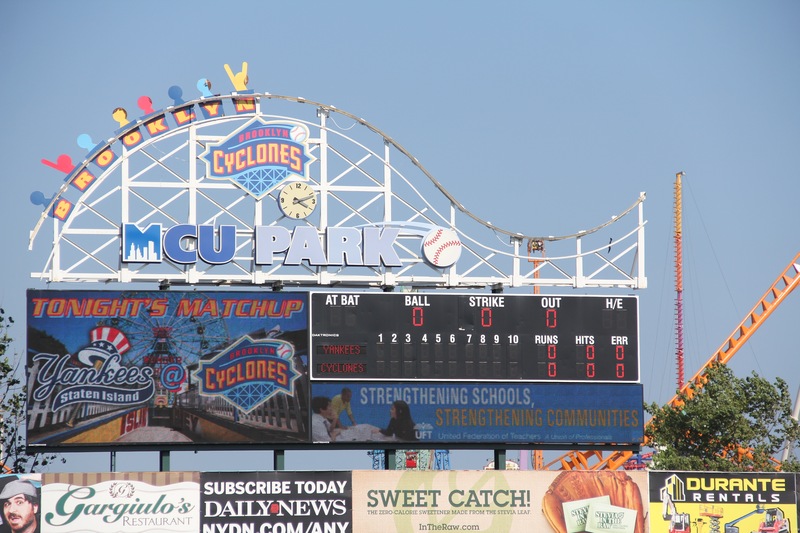 For the Brooklyn Cyclones the season came to a close, no playoffs, no celebration, just more work to be put in for the young men that were seen at MCU Park during the course of the summer. All season long the theme for the Cyclones was that the pitching was strong from the Starters to the Pen, sadly though they did not have the bats that matched. Fans attending games this season were however able to see some of the Mets top prospects as Vinny Siena was able to make an impract prior to getting the call to Port St. Lucie. Desmond Lindsay started to impress in a short sample with the Cyclones, while David Thompson will be a player to watch for next summer. Recording hits in the last game of the regular season were Enmanuel Zabala, Zach Mathieu, Brandon Brosher, Oswald Caraballo, Hengelbert Rojas and Manuel Hilario. For the Baby Bombers they were able to win their 8th McNamara Division title on this night, to go along with their 10th playoff berth. Staten Island will be in action on Wednesday, September the 9 as they host the Tri-City ValleyCats with the time of the game TBA.